UltraScan Inspection cc. is a leading quality surveillance service provider offering quality 3rd-Party QA/QC welding inspection and N.D.T. testing services. Established since 1982 in the port city of Durban, South Africa, UltraScan continues to offer these services to the Oil & Gas, Marine Ship Repair, Power Generation, Sugar, Pulp & Paper, Petro-Chemical, Mining, General Engineering, Manufacturing & Fabrication industries. To date, all QA/QC inspection and non-destructive testing services requested by Clients and AIAs have been conducted in accordance with various internationally recognised specification codes and test procedures to meet the specific requirements of customers. Over the years, UltraScan has managed to maintain a consistently high quality of on-site service and reporting by the implementation of it’s QUALITY MANAGEMENT SYSTEM manual, which through periodic auditing, has met with the approval of various independent inspection bodies. In addition, UltraScan has established a network of experts consisting of a number of carefully selected strategic partners to compliment the range of services offered. 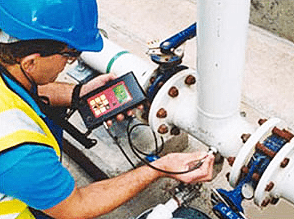 UltraScan draws on the extensive experience, technical know-how & creativity of its workforce to provide quality QA/QC inspection & NDT services.